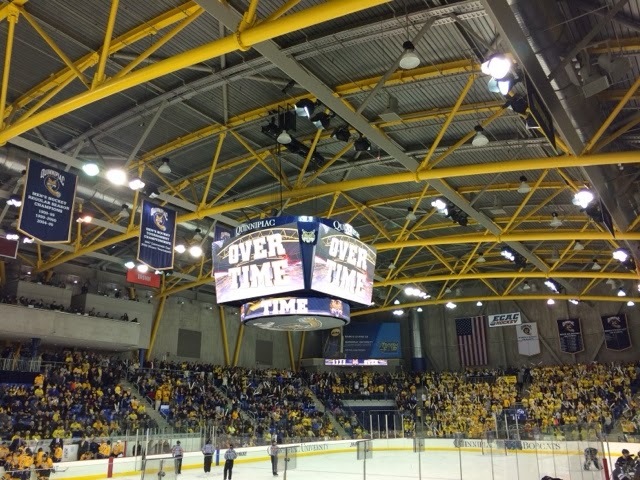 What's Up New Haven: Yale vs. Quinnipiac Rematch Happens Tonight!! Yale vs. Quinnipiac Rematch Happens Tonight!! The Battle of Whitney Avenue goes down tonight in Mens Hockey! 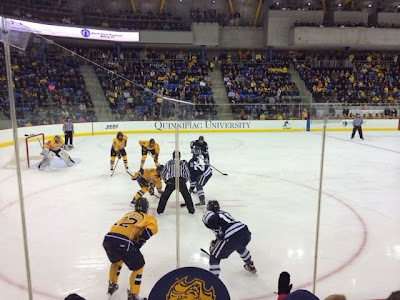 The defending champion Yale University Bulldogs take on the Quinnipiac Bobcats at QU. You can catch the game tonight at Anna Liffey's - 17 Whitney Avenue if you're downtown or at Fireside Bar & Grill at 810 Woodward Avenue if you're in the Annex. Feel free to comment any other locations airing the game tonight! Game starts at 7pm. 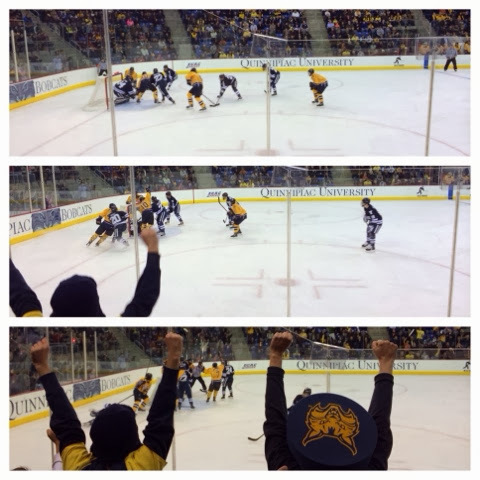 The Yale/Quinnipiac game ended in a TIE! I had no idea games could end in a tie. It was a bit of a letdown, given the excitement of the rest of the game! 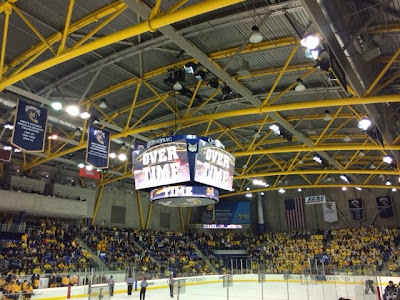 Each team played their heart out as Yale took a 3-2 lead after being in a 0-2 deficit, and Quinnipiac came back to score a goal seconds before the end of 3rd period. Tremendous effort on both sides!